Effective January 1, 2019, your Association and Aperion Management Group will be changing banking institutions to Pacific Premier Bank. To register your new homeowner portal and access your account, click PAY ASSESSMENTS below. We're now accepting new communities! We've expanded our team and are now accepting requests for proposals. Fill out our request form here. 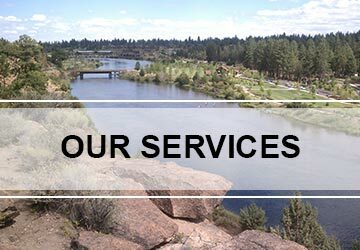 Aperion Management Group, LLC is Central and Southern Oregon's first and only Accredited Association Management Company (AAMC) that specializes in Homowners Association (HOA) management in Bend and Medford and the larger Central and Southern Oregon area. We are confident that with our services your community will flourish. Our Services are fully inclusive to the needs of Homeowners Association (HOA) management but can also be offered individually based on the community’s needs. Get connected with your community! We've put our associations online to provide you with more convenience and a wealth of website services and opportunities. With over fifty years combined experience in management, building & development, we can help create a more responsive and efficient management process for communities. Limitless pursuit of your community vision by implementing strategic management, facility maintenance, and financial practices with the utmost integrity. Limitless commitment to quality customer service and transparent communication with like-minded clients. Limitless dedication to the highest industry standards and accredited leadership. Limitless devotion to an enjoyable and balanced life style. ​Open to all HOA Board members, this complimentary training helps participants become knowledgeable about the rules, fiduciary responsibilities, legal constraints and other aspects you might face as part of your Homeowners Association role. Whether you’re a new or seasoned HOA Board member, you’ll find this training valuable in helping you perform your duties to the best of your abilities. RSVP to rsvp@aperionmgmt.com with attendees and association name.